Until now you've had to label Autodesk® AutoCAD® Civil 3D® parcels and parcel segments one at a time, using only one line and one curve style. No more. Now you can label hundreds of parcels in seconds, using all of your label styles - specifically the best fitting and most appropriate label style for each situation. For example, label an overall curve parcel segment with radius-delta-length inside the right-of-way, and label the lot frontage partial segments inside the lots using only delta-length. See the video to believe it! Label Civil 3D parcels in seconds with the most appropriate label style. You control which label styles are used, and the order the label styles are applied. Pemulis Parcel Labeler for Civil 3D is an advanced annotation solution combining intelligent map analysis, advanced annotation, geometry checking, and more. Find and fix geometry errors. For example, Pemulis Parcel Labeler identifies situations where the sum of the partial lengths don't add up to the overall length, or where an overall label or partial label is missing. Spend more time map making and less time on the tedium of labeling. Get your maps submitted faster! This app uses a custom installer (and not the standard App Store installer). The application comes with a 30-day trial license upon installation and first run. If the user has exhausted their 30-day trial it can be extended at the publisher’s discretion, or if at any point the user purchases the application they'll receive a license key from the publisher. Contact the publisher for additional licensing options. 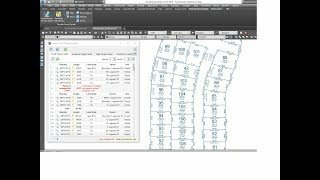 Pemulis Parcel Labeler for Civil 3D Annotate hundreds of Civil 3D parcels in seconds with the best fitting and most appropriate label style selected from all your parcel line/curve styles. Includes updates and changes to licensing technology. La taille du fichier que vous vous apprêtez à télécharger dépasse 300 M.
Cliquez ici pour lancer le téléchargement directement ou copiez l'URL de téléchargement dans votre gestionnaire de téléchargement. Pour des fichiers volumineux, l'utilisation d'un gestionnaire de téléchargement est vivement recommandée.